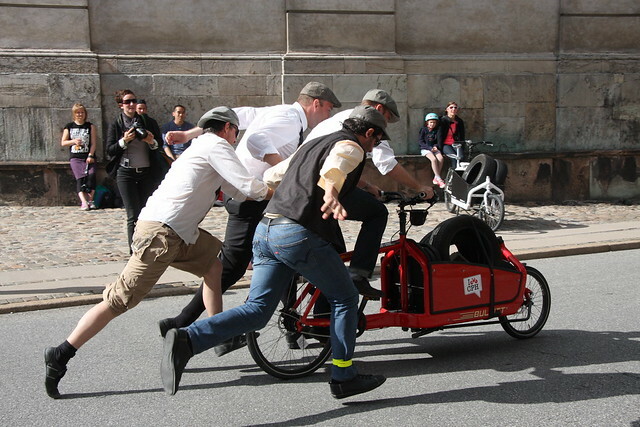 Copenhagenize Consulting has challenged three other 'players' on the urban cycling scene in Denmark to an internal battle at this year's Svajerløbet 2011 - Danish Cargo Bike Championships. We hereby challenge these people.... and these people.... and these people. The latter is Copenhagen's Bicycle Office. - We all participate in a heat of the Team Relay discipline. - The bosses have to take part and the three others have to be employees. - Choose your own cargo bike. So far, the Copenhagen Bicycle Office has responded to Copenhagenize's challenge. So far, the other two have not responded.